AirMD is an environmental testing and consulting company that provides mold testing and mold inspection services in Boca Raton, Florida. 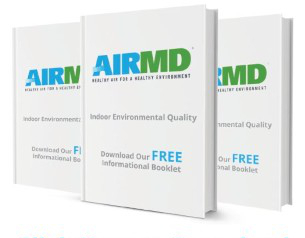 AirMD’s environmental consultants use state-of-the-art equipment to identify the source and extent of any mold problem and recommend a solution. The consultant will perform a visual inspection, conduct air quality sampling and laboratory analysis, temperature and humidity readings, moisture assessment and respirable particle sampling. If mold is identified, the consultant will include the proper protocol for mold remediation. AirMD can then refer you to a specialist in our network of independent, certified mold remediation specialists. After mold remediation, the consultant will conduct a post remediation test to ensure that all mold has been removed. Our environmental consultants have conducted mold testing and mold inspection for thousands of residential, governmental, educational, and commercial clients who agree that AirMD, is a company that you can count on. AirMD performs mold testing and mold inspection services to Boca Raton, Florida, and numerous other states across the country. To book Mold Testing and Inspection for your Boca Raton home or business, Click Here. You can also call us at 1-888-462-4763 or 1-888-GO-AIRMD.